Earlier we have seen what is Singly Linked List and How to implement it. In a way you say that it’s an extension of singly linked list. I would suggest that if you do not about Linked list, then i would recommend that first read “Singly Linked List“. Now we will see the difference between them. 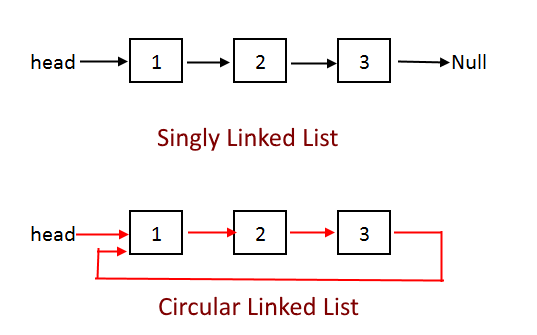 So as we can see the in circular linked list last node in the list is not pointing to null but its pointing the first node in the linked list and this makes a circle that is why it is called “Circular Linked List”.